Lazarev is a small town located on the Mamiya Strait between Sakhalin and the Asian mainland. 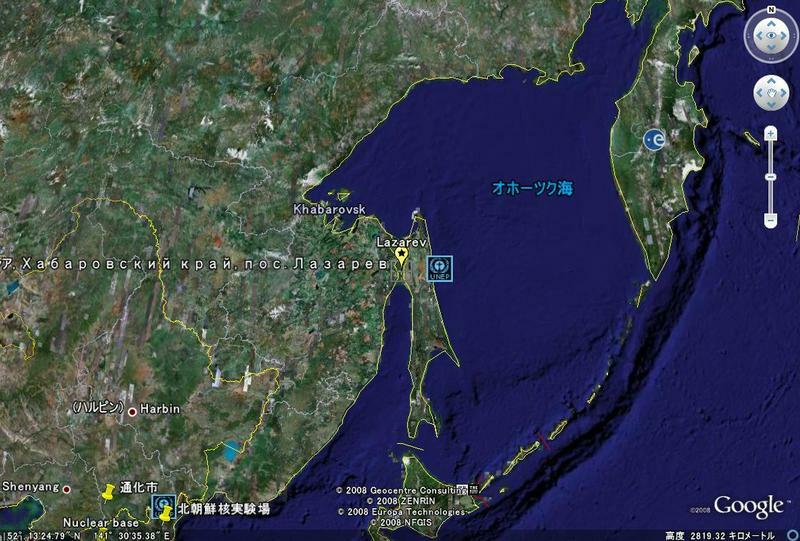 Sakhalin is absolutely Japan's territory historically and also from the viewpoint of international law, but it has been occupied by Russia since the end of the Great East Asian War (the Pacific War). I'll skirt around this issue this time. I'm planning to ride my scooter around the Japan Sea in the future and I will visit Sakhalin by my scooter via Wakkanai in Hokkaido maybe in two years' time as the first step to the round-Japan-Sea tour. Now, I'd like to get to know someone who lives in Lazarev and can speak English. If I can, I will cross the Mamiya Strait to meet the person in two years' time. Is there anyone who can help me visit Sakhalin and Lazarev? I'm writing my impression of the movie "Cry Freedom" that I caught tonight. 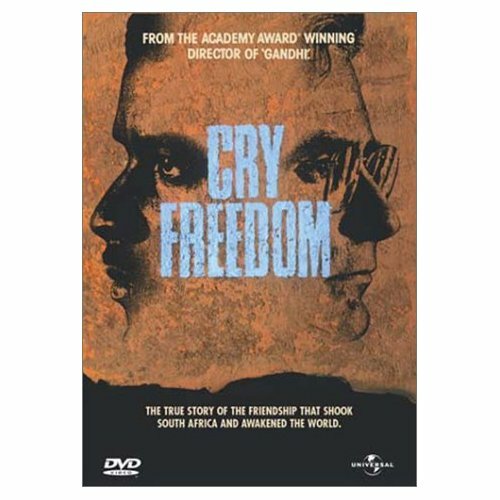 This movie dealt with the apartheid policy that had been implemented in South Africa. In this cruel policy for black people, a journalist who was on the side of the government and a young black man who was on the side of the blacks got to know each other and promoted good feelings. After the young black man's suspicious death, his friend determined to escape from the country and appeal to public opinion. He was in strict custody, so his escape was very difficult and was the same as putting his life on the line. His escape was not smooth, but finally successful. I'd like to give him a big hand and got angry against the whites. The European powers have ruled the countries of colored races and have been responsible for unspeakable calamities to the people since the 15th century. The first war in which colored people defeated white people was the Japanese-Russo War that started in 1904. This victory seemed to inspire colored people all over the world. This is true. Do you know the first nation that appealed for the elimination of racial discrimination at an international conference? It was JAPAN at the Paris Peace Conference in 1919, just after the First World War. The superpowers at that time rejected it though. It's hardly possible that nations with plantations and slaves would have agreed with Japan's proposition. The DVD recorder is a must to me. When I want to see some TV programs outside my house, I have only to send an e-mail. The information about programs that I want to see is written in the e-mail in a designated formula. The DVD recorder will record the programs following the indication in the e-mail. This system is very convenient. I can register the program on the DVD recorder no matter when and where I want to go out. This DVD recorder got out of order today. I was going to take it to the repair shop, but it was connected with several electronics. I'm handy with a PC, so my friends think that I'm handy with video and audio, but that's not true. I was afraid of not being able to connect those cords as they used to be. 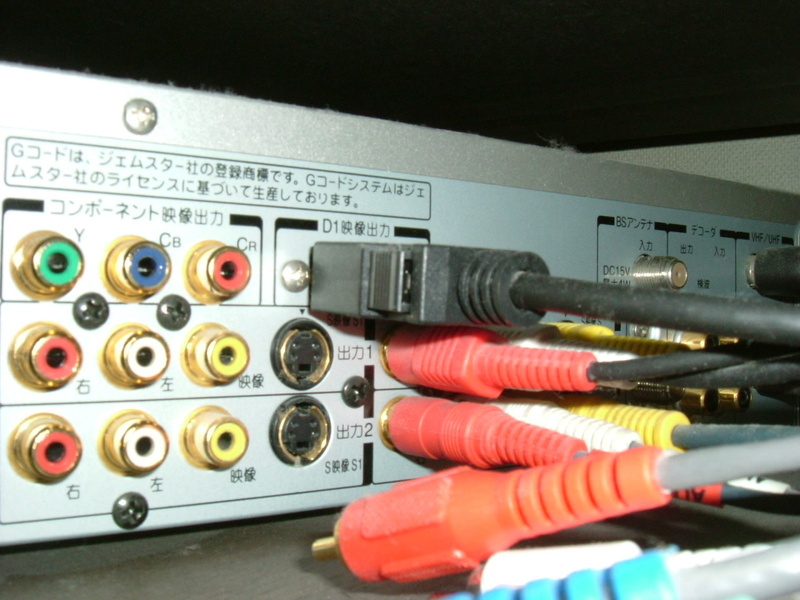 Connecting a DVD recorder with several machines like a display, a projector, an amplifier, a video recorder,,,. This procedure would take a lot out of me. At that time, a good idea came to me. I have a digital camera. I took some pictures every time I pulled a cord out. It was visual notes. The connection will be successful if I just follow the pictures in reverse order. Every time I see a comic conversation between comedians, I feel the difficulty of acquiring a good knowledge of English. I'm writing about a TV show that I saw recently. A middle aged couple were talking about their kids in the show. 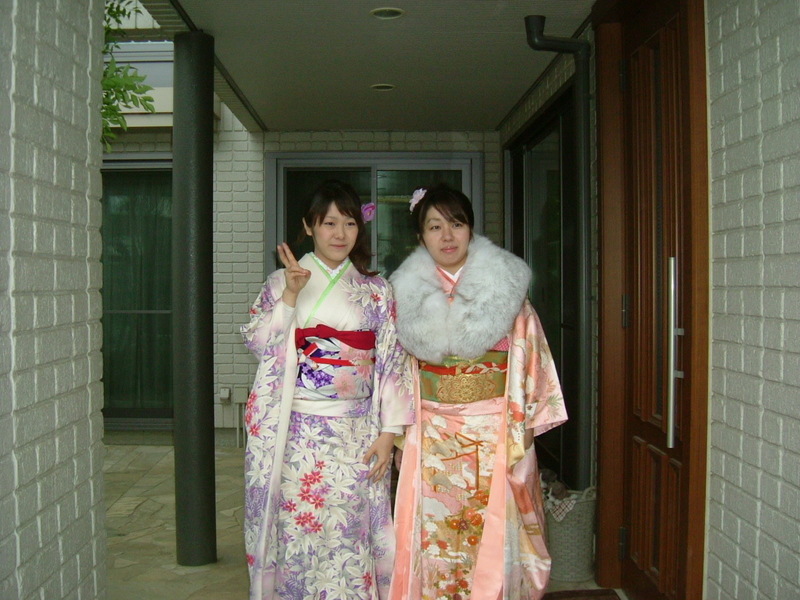 There was a loud knock at the door at that time and the wife went out of the picture. I thought that maybe someone had come back home and the wife went to the door to open it. The scene of her opening the door didn't appear on the screen, but I imagined it like that. A few seconds later she came back to her husband with the door and the laughter of the studio audience. I understood this conversation like this; the door had something wrong with it and didn't work well and she couldn't open it. She finally must have taken the door out of the wall to let the kid in. Today, I figured out the real punch line of this story. I happened to find the idiom "get the door" in my dictionary. The "get" of this phrase means "to open" but the "get" was used as "to bring" in the show. When I saw the show, I didn't realize the punch line because I didn't know the idiom "get the door." I'm sorry not to be able to feel the funny thing directly. I have to think about the punch line theoretically now. I wish I could naturally enjoy the comic conversation some day. I found an article in the local newspaper that introduced the most up-to-date and popular electric coffee makers. As I grew eager to look at it with my own eyes, I dropped in at the nearest electrical appliance shop. I've used a few coffee makers before and I have one now. I like coffee made from beans rather than instant coffee. I'd like to always have the former, but it takes more time to make coffee from beans. That's why I don't have a coffee maker in my office. Naturally I know almost all coffee makers can keep coffee hot for a long time and if I make enough coffee for a whole day in the morning, I can sip it whenever I like. However the coffee will boil down and if I was called for something urgent and forgot to turn it off, the coffee server would be burnt dry. I haven't used an electric coffee maker in my office on this account. The coffee maker that I saw in the paper didn't have a heater for the coffee, but the freshly-extracted coffee is gathered into a thermos bottle. The coffee server has the structure of a thermos bottle. 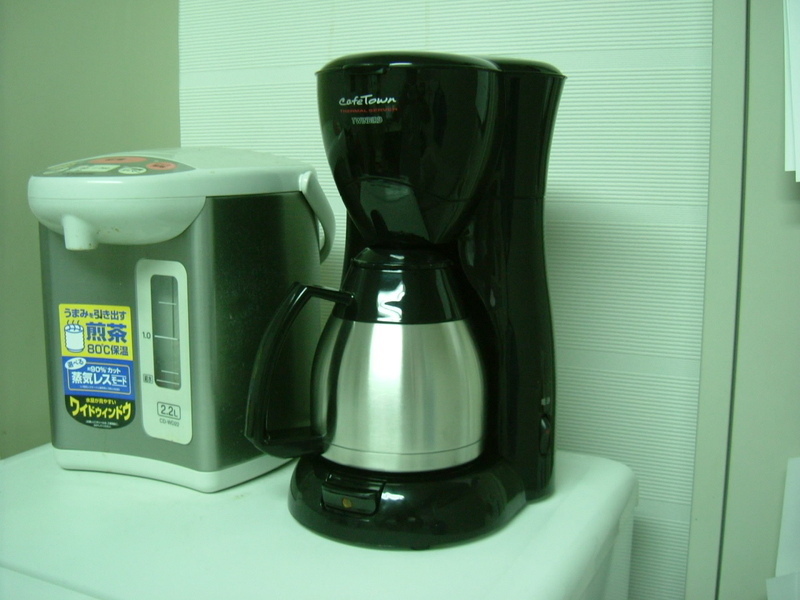 After the extraction is finished, the coffee maker will be turned off automatically and the coffee will be kept hot for a few hours without any electricity. I bought it and am showing it below. "Offline Meeting" might be a Japanese-made phrase. It means a real meeting at which people who usually meet on the internet meet in the real world. I joined an offline meeting today. A half of the members were new to me. I didn't know even their names. I only knew their nicknames and their way of thinking. I have just read their comments on the net. The motorcycle is our common language. We enjoyed chatting about our own motorcycles and other hobbies and jobs over local brand beers and distilled spirits. I had a fabulous time and got to know many things from other occupations apart from the medical services. One of them was planning to ride a motorcycle in the southwest islands, just on the border of Japan. As I talked with him, I grew eager to go for a long tour. 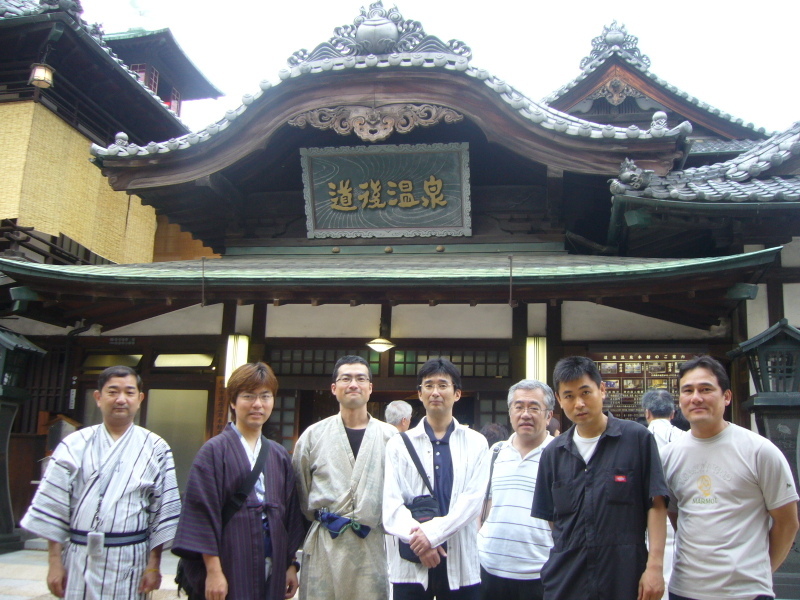 The picture shows us lining up in front of the Dogo Onsen Spa, which is one of the national historic heritage buildings. 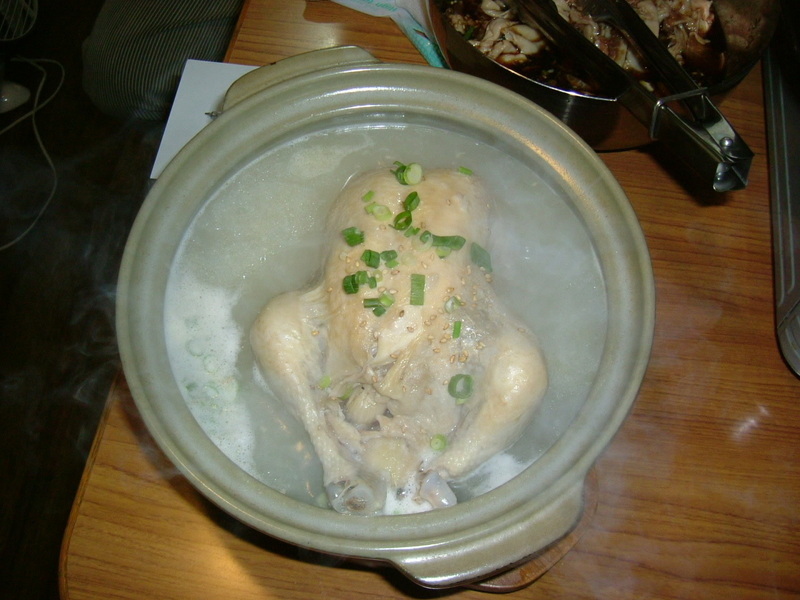 I went to a Korean eating house near my office today. It looked shabby and unclean, but the taste was great. The owner is a Korean, but he speaks Japanese well. Whenever I drop in at this restaurant, I use Korean to practice it as much as possible. 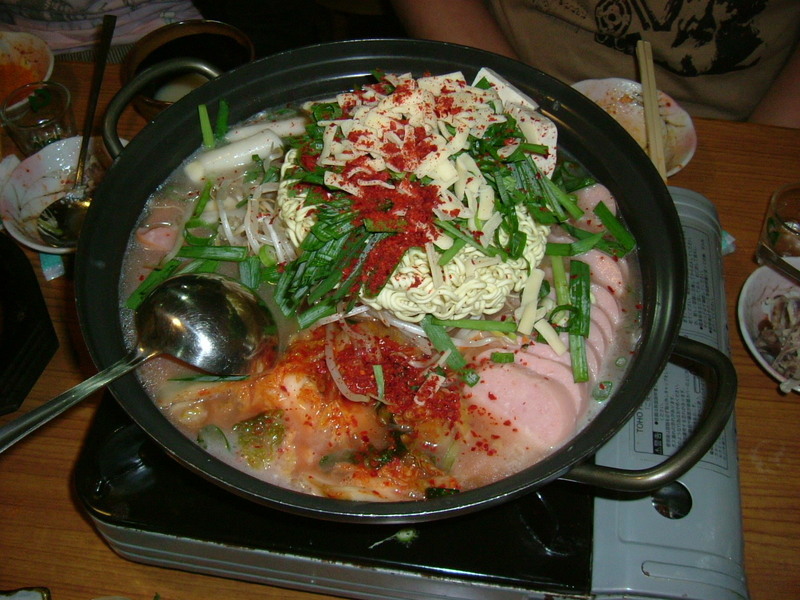 Visiting there serves a dual purpose, eating and practicing Korean conversation.